Leading Manufacturer of 20 litre bubble top cap from Ahmedabad. 100 % virgin material used only.We Siddhi industries are engaged in manufacturing and export quality range of 20 Litre Colored Water Bottle Cap, this cap is 5.00 gm, 30 mm height. Packaging Details: 1000 piece per bag. 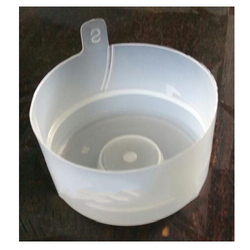 Looking for 20 Litre Mineral Water Bottle Cap ?